Intuitively... | Impeccably... | Inexpensively For You. NO commitment term and NO setup fee. Starting at $149 / Month. Forget the hassle of DIY website design and the large upfront costs of expensive agencies. In today’s world, your website must evolve constantly. But keeping up with modern times and trends shouldn’t put you in the red. Choose one of our affordable plans and signup. Then we contact you to identify the needs of your site, who the users will be, and what actions we want them to take while on your site. We will also identify the the overall style and layout you’re envisioning. Here is where the fun begins! We carefully design and customize your new website using your content, brand colors, and the overall style and layout we discussed during the discovery step. You’ll get a chance to review the website and submit minor edits before launch. Once the website is approved, we launch, submit it to search engines and take care of any remaining tweaks or issues. Now your site is ready for you to market it to the world! It’s time to use all its features to build your business and we’ll be here to support your online needs. Every site comes with a suite of website tools to help you run your business online. Built on WordPress, a proven platform supported by a huge global community. Everything you need to grow your brand and succeed online. A beautiful responsive website optimized for smartphones, tablets, and laptops. Page & post views, top referral traffic sources, clicks and Search engine terms – all at your fingertips. Simultaneously post your content to multiple social media platforms, like Facebook, Google+ and twitter. An integrated content management system, giving you control of your website content. We identify the best keywords and implement them into your page titles, meta tags, and content. We provide high-resolution photography specific to your industry for your website. Allow your visitors to share your site pages, posts and images at the click of a button. We make sure Google properly indexes your site using a dynamic sitemap creator. Your site is safe and secure with state of the art hosting & maintenance services. Publish posts to boost your reputation and credibility with a dynamic blog or news page. We protect and backup your site giving you peace of mind in the age of cyber-attacks. Convert visitors into loyal followers and customers using the most popular email marketing systems. We built our network of tools and services on a proven platform – unlike the proprietary systems that you’ve never heard of, used by our competitors. WordPress, the most popular online publishing platform, has been powering websites since 2003. 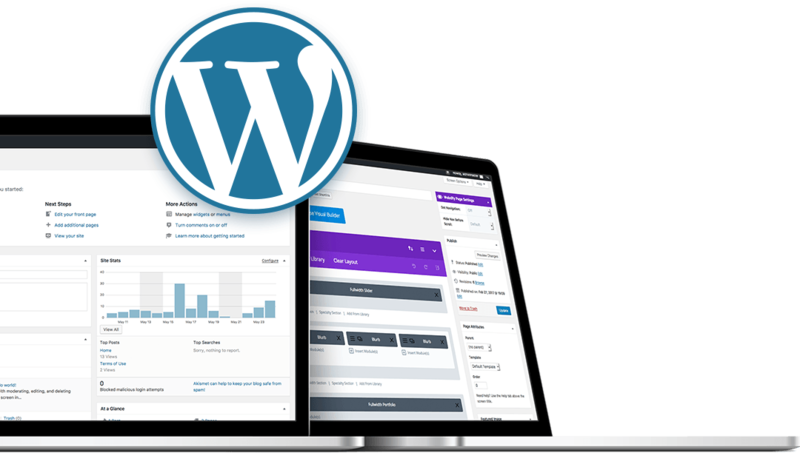 Webdify + WordPress gives you the power and control you need to drive your site and business forward. For just a few bucks a day start enjoying the benefits of a Webdify site. Webdify was created to give folks a quick & affordable custom website option. If you need an enterprise level custom website services please contact arcainteractive.com.